A Grand Design style renovation – with a literal skeleton in the closet. 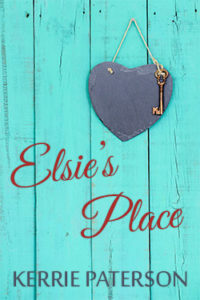 Sixty-year-old widowed school principal Patricia inherits a run-down, historic house in Newcastle, NSW, from Elsie, an old lady she’d befriended. On leave following a distressing incident at her school, Pat throws herself into restoring the house with the help of new friends – architect Susan, whose longing for a child threatens her marriage, and Lauren, a single mum stubbornly sacrificing her dreams of self-employment for the security of a nine-to-five job. Attraction flares between Pat and Andy, the historic restoration expert she hires. While menacing phone calls and destructive break-ins threaten to derail the restoration project, a shocking discovery causes repercussions no-one could have foreseen. Caught between the needs of her mother ravaged by dementia and the demands of her adult children, Pat must learn to put herself first to salvage both her new life and her new love.